Heat 2 tablespoons oil in pan, add sooji and roast for 4 to 5 minutes or till golden brown. Heat 1 tablespoon oil, add mustard seeds, and let them crackle. Add bengal gram, urad dal, curry leaves, green chilly, sauté for ½ minute. 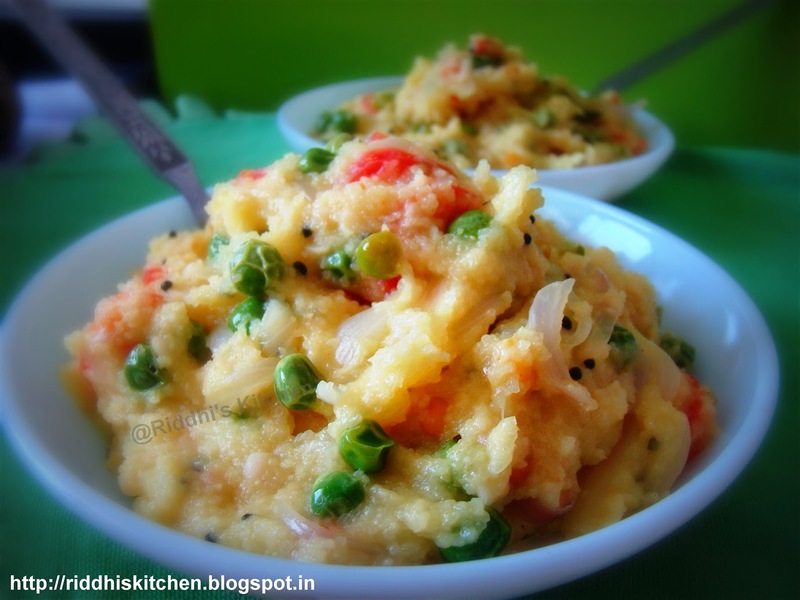 Add onions, green peas, and carrots, salt and cook for 4 to 5 minutes or till vegetables soft. Add roasted sooji and mix well. Add buttermilk and mix well. Keep stirring continuously. Cook till mixture become semi dry.